Your tears still likely haven't dried from watching the second season of Netflix's "Queer Eye," but the Fab Five soon will be hard at work on a new season. Netflix announced Friday it has renewed the reality makeover show for a third season, a move that comes a day after the series scored four Emmy nominations. The eight-episode third season will begin production Monday in Kansas City, Missouri, Netflix said. 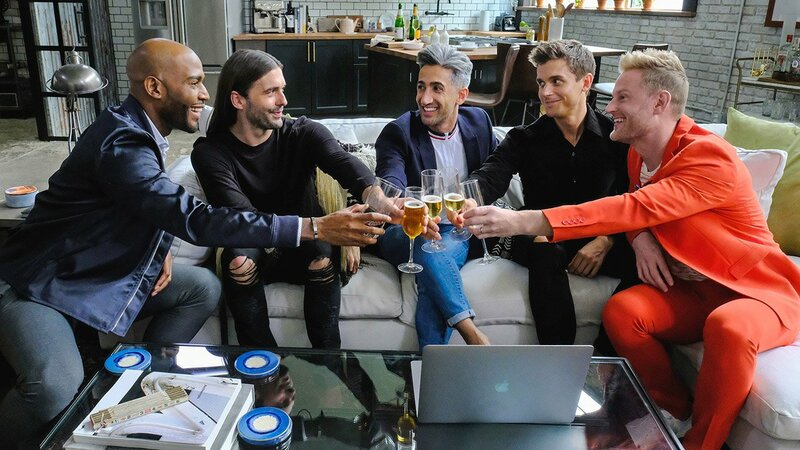 All five co-hosts -- Antoni Porowski (food and wine), Bobby Berk (interior design), Karamo Brown (culture), Jonathan Van Ness (grooming) and Tan France (fashion) -- will be returning. The series, which debuted in February on Netflix, immediately gained praise for its fresh take on the concept that originated on Bravo's "Queer Eye for the Straight Guy," which aired for five seasons. On Thursday, "Queer Eye" earned Emmy nominations in four categories -- outstanding structured reality program, casting, picture editing and cinematography. The third season of "Queer Eye" will debut in 2019.